Scare headlines about the first human clones appear in our newspapers. Biotech companies brag about manufacturing human embryos as “products” for use in medical treatments. Events are moving so fast—and biotechnology seems so complicated—that many of us worry we can’t keep up. 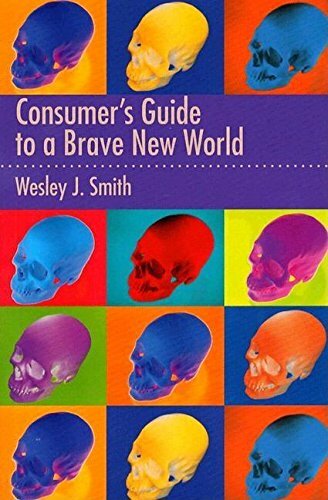 But now, Wesley J. Smith provides us with a guide to the brave new world that is no longer a figment of our imagination, but a reality just around the corner of our lives. In A Consumer’s Guide to A Brave New World, Smith presents a clear-eyed vision of two potential futures. In one, we will use biotechnology as a powerful tool to treat disease and improve the quality of our lives. But in another, darker scenario, we will be steered onto the antihuman path that Aldous Huxley and other prophetic writers warned against half a century ago. Wesley J. Smith’s Culture of Death: The Assault on Medical Ethics in America won the Independent Publisher Award for the Best Health Book of 2001. He is a senior fellow at the Discovery Institute. He lives with his wife, the syndicated columnist Debra Saunders, in Oakland, California.